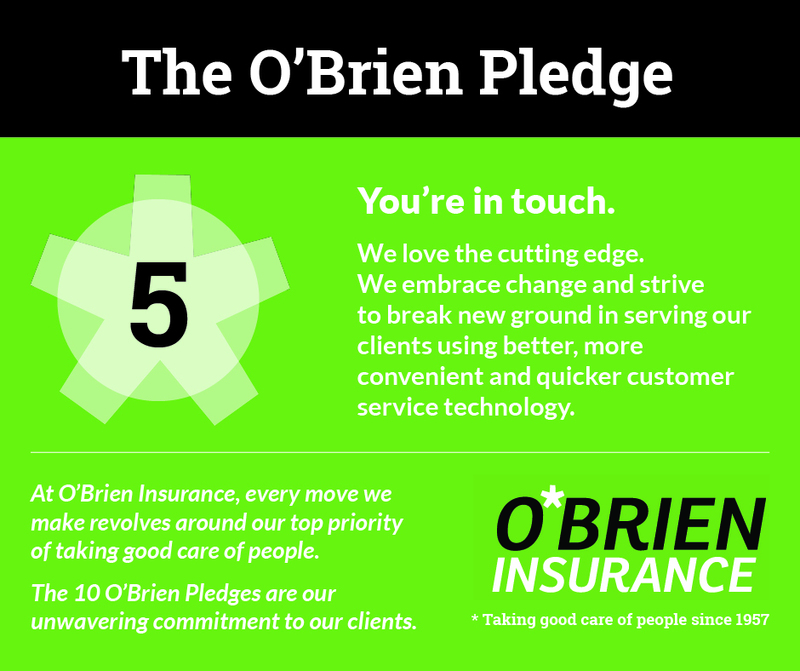 We’re taking a closer look at what the O’Brien Pledge means for our clients. We got to know parts one through four of the Pledge in a previous post, and now we’re digging into parts five through ten. 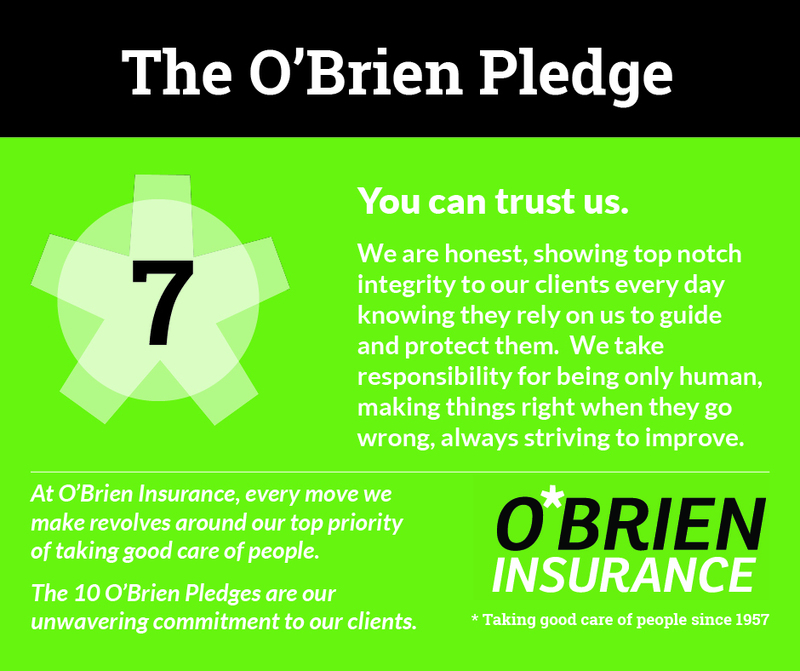 It’s so important to us at O’Brien Insurance that our clients know what they can expect from us, and that they can count on us in any circumstance. 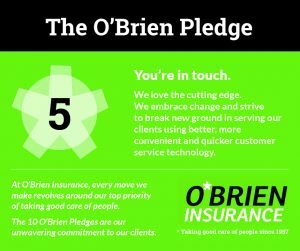 Here are more real-life examples of how the O’Brien Pledge has translated into reality for our O’Brien Insurance family. in serving our clients using better, more convenient customer service technology. We’re always looking forward, trying to find new ways to better serve our clients. We believe the best experience for our clients comes from a combination of the most up-to-date technology and personal interactions. are answering a question or responding to you in a time of crisis, we will always reply to you right away in the way you prefer to receive communications, whether it be an in-person meeting at your location or in our office, or via phone, text, email, or video conference. 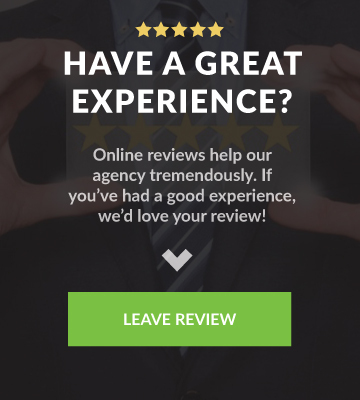 Part of taking good care of our clients is being highly responsive and communicating with them through the methods most convenient and comfortable for them. We are always here for our O’Brien family, and will always be open and helpful in our communication. they rely on us to guide them and protect them. We take our clients’ trust in us seriously and will do everything we can to demonstrate their faith in us is well-placed. We’re honest and forthright with our O’Brien Insurance family, so that our clients can rest assured they’re fully informed about all aspects of their coverage and claims. 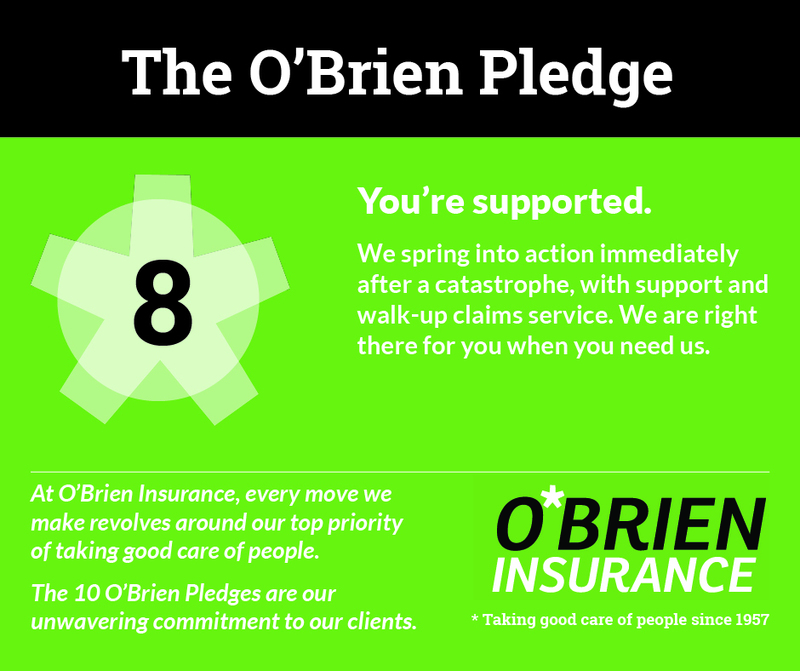 We spring into action immediately after a catastrophe, with support and walk-up claims service. We are right there for you when you need us. One of the biggest benefits of working with a local insurance agency like O’Brien is that we’re able to support our clients face-to-face through a crisis. We’re here for you 24 hours a day, 7 days a week. 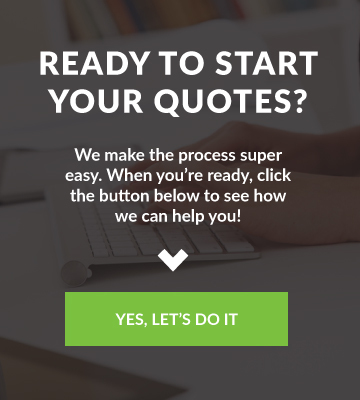 with, and we are an advocate for our clients, matching them with the best fit for their needs. 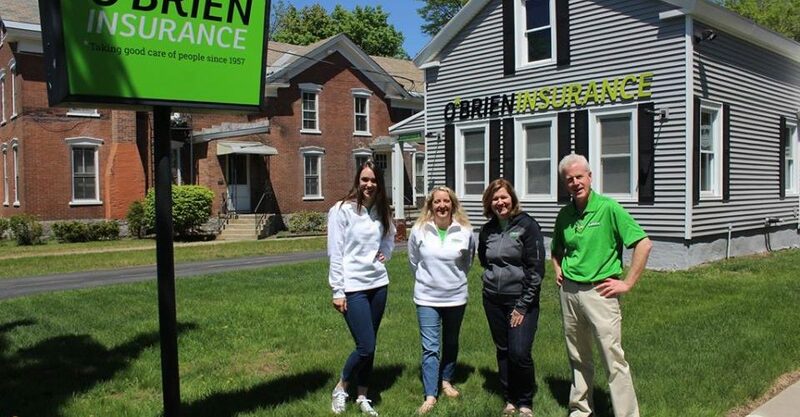 We only work with the best, most reliable insurance carriers. 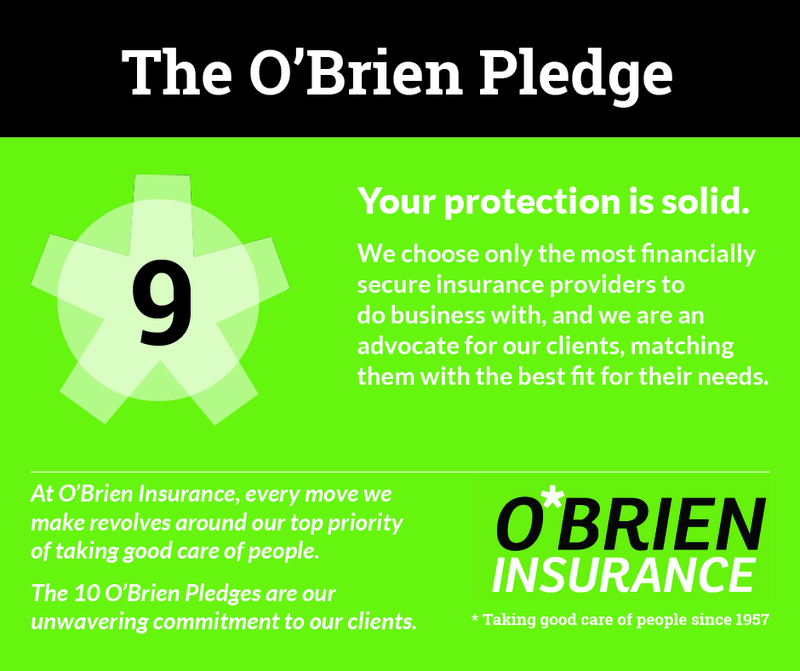 Our priority is making sure our clients have access to superior coverage tailored to their needs, and we always advocate for the best interest of our clients. 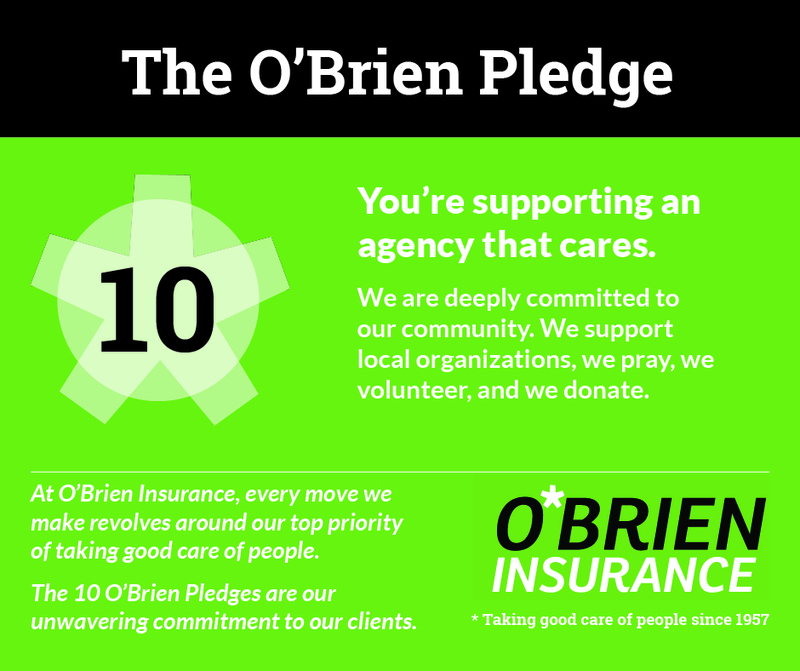 You’re supporting an agency that cares. we pray, we volunteer, and we donate. 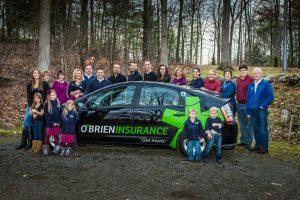 O’Brien Insurance takes good care of people. 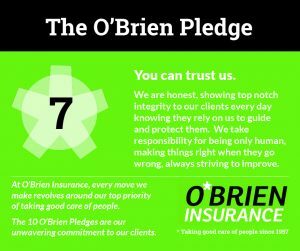 It’s at the core of everything we do, and we put our values into action with our individual clients as well as in our community. 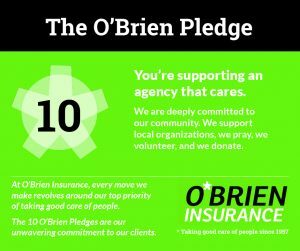 Supporting O’Brien Insurance helps us support our families, friends, and neighbors in every way we can. If you’re interested in joining the O’Brien Insurance family and seeing us putting our Pledge into action, contact us today to learn more about what we can do to make sure you, and everything that’s important to you, is protected.